Get Relic's ace RTS for nothing through 'til Monday. Relic's ace World War 2 RTS Company of Heroes 2 is free on Steam right now to celebrate its fifth anniversary. It's not quite as tight and satisfying as the classic original, but it's still a tense, excellent strategy game, especially in singleplayer and AI skirmish. 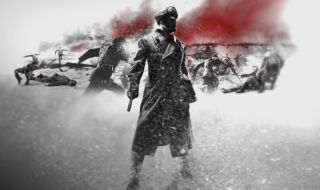 The base game features a sizeable Red Army singleplayer campaign and two multiplayer armies. The DLC is also heavily discounted for the duration of the offer, including Western Front Armies and British Forces army expansions, if you enjoy what you play. You can also pick up the overlooked singleplayer expansion Ardennes Assault for just a few bucks. It's a dynamic campaign that forces you to carry your losses from mission to mission. We gave it a strong 81 score in our review. Once you've added the game to the Steam library, it's there forever, so why not? The offer ends on Monday December 10.